Today, the HRC Foundation launched a campaign during the Christian holy season of Lent to tell the stories of LGBTQ people of faith and their allies. The campaign seeks to create an environment in which LGBTQ people of faith and their allies can practice the spiritual traditions of their faith in a welcoming, inclusive environment. 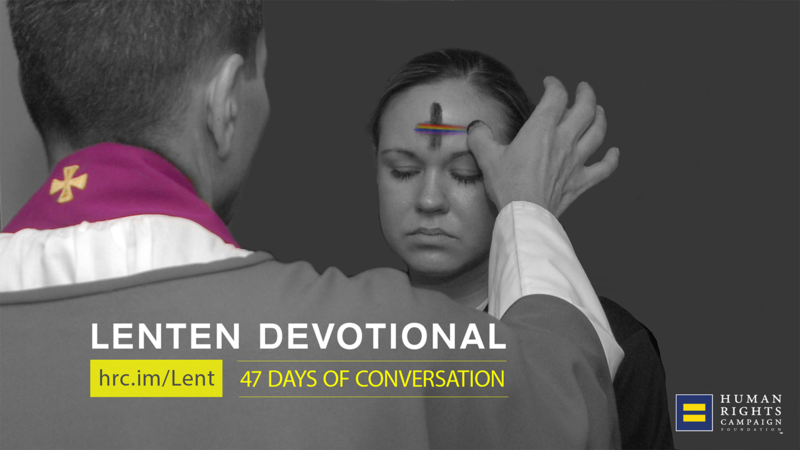 The Lenten Devotional campaign is being led by The Reverend Dr. J. Edwin Bacon, an author, Episcopal priest, and frequent guest on Oprah’s Soul Series whose faith informs his acceptance of LGBTQ people. For the next 47 days, HRC will share devotionals from faith leaders, LGBTQ people and allies. These stories will be posted on the HRC website and on Twitter and Facebook.